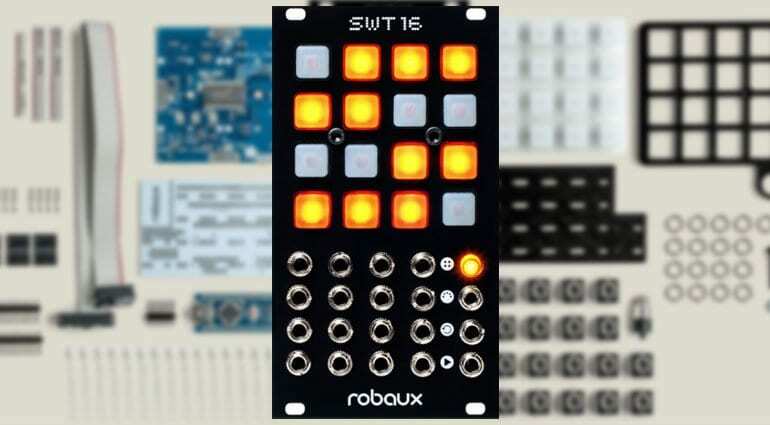 The SWT16 or “Sweet 16” is the first Eurorack module from German designers Robaux, and it’s a fabulous looking device. 16 glowingly backlit silicon button pads and 16 trigger outputs – that is pretty much it. I think this is going to be a lot of fun. Tap – play in your sequence in real-time. Just tap the button of the track you want to trigger (this is awesome!). Random – stuffs in a random sequencer when you hit the track button. 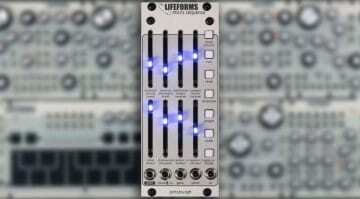 Perform – combines a couple of modes to operate on the first 4 tracks. In mode A you have the top row as mutes, second triggers continuous rolls, third line switches to mode B. Mode B has tap mode on the first line, delete on second. Fill – continuous triggers when held down. Invert – inverts the programmed triggers. Length – set the pattern length. Length reset – restarts the pattern on first step of master clock. Gate – combining steps into one longer gate. Clock – Divides the clock. Autoclock – switch between internal and external clock and adjust tempo. Notes – Selecting MIDI channel for each track. Yes it also sends MIDI. Write – save your patterns and settings. Util – Disable animations or flip the module upside down. The SW16 is based on Arduino Uno and Adafruit Trellis and as the FAQs state it is not particularly complicated. 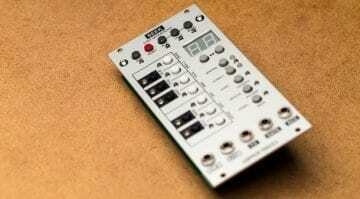 It’s going to be released as Open Hardware so anyone can do what they like to it. 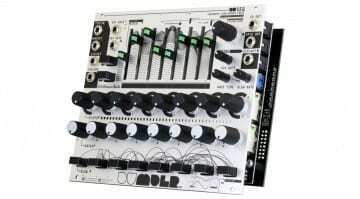 But they will be releasing the SWT16 as a DIY kit which looks like fun. 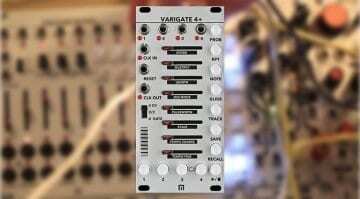 It looks like the sort of thing that could bring a lot of groove to your Eurorack just by poking it about. Uncertain on the lead time at the moment so we can only label it as “coming soon”.